Pahuna Upvan is a cozy and peaceful property located in Naldehra, Shimla. 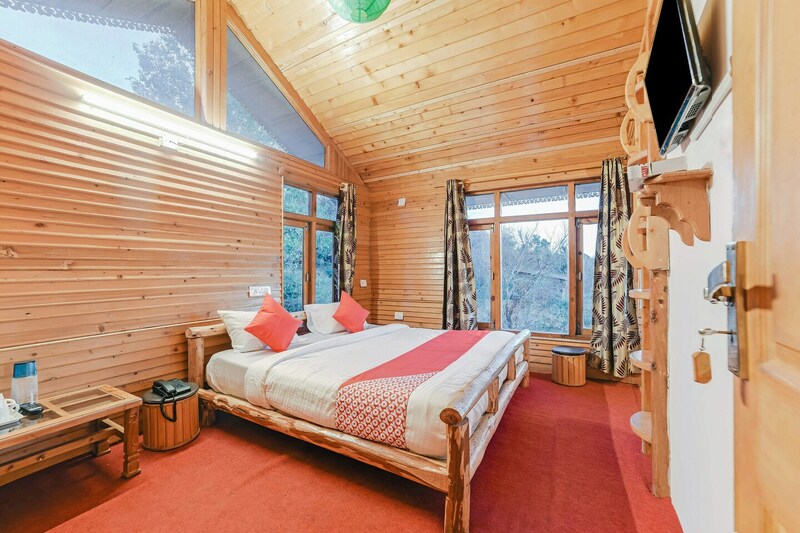 The property is furnished and insulated with wood to keep the guests comfortable during winters. The rooms have pleasant and peaceful ambience giving the visitors a relaxed and enjoyable stay. The classy and bright rooms of the property are well furnished and equipped with wooden furniture. The in-house restaurant offers any time delicious food having a spacious seating area. They also have parking facility secured by CCTV cameras. The guests of the property can explore the key attractions of shimla like Victory Tunnel, Scandal Point, Shimla Jahku, Chadwick Falls, Galuva jungle, Phantom hills, Monumental National Flag and Hawa ghar. The guests can also enjoy food in famous restaurants like Neelkanth bar and restaurant, Mezbaan, Shiwalik Restaurant, Chinese Food Zone and Cecil Restaurant.